Hi there. 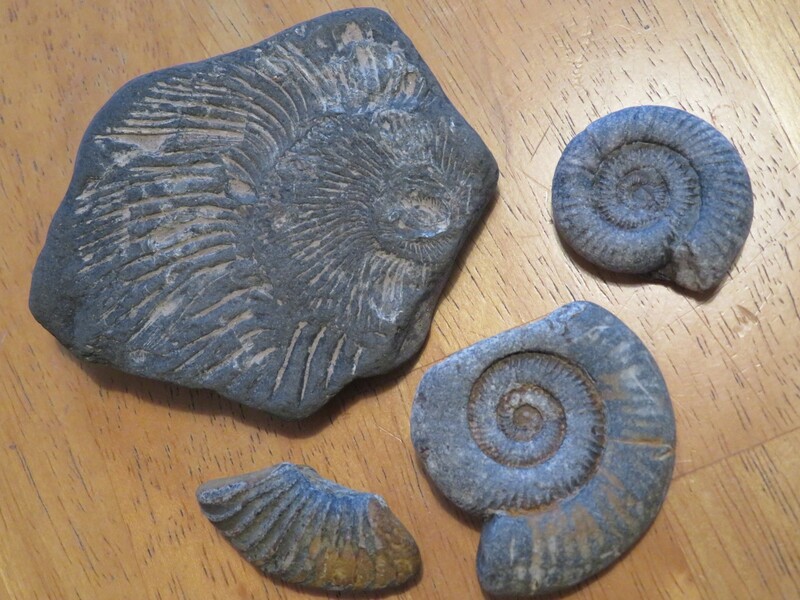 Went for my first ever fossil hunt along the hornsea/ mappleton beach and hoping to take a few finds back home to NZ with me. 2. what do i polish/ seal them with to prevent it happening again? I cannot see any pictures? Hello Dan and welcome to the forum - I hope you are having a good time over here. The large(er) block looks like the mould of an ammonite, albeit a partial of a larger one, but I don't see any shell except for bits of white in the grooves. This reminds me of middle / late Jurassic preservationand all you could do (if I am correct) is to give it a LIGHT brushing & consolidate the shell & matrix. 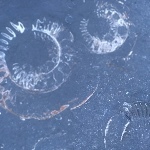 The 2 nearly complete ammonites should (if they are Pyritised) be air abraded and then preserved with Paraloid B72, but a Sued brush would do t he trick before coating. I think these are Dactyliocers from the lower Lias. Remember that this area is all erratics from North of the collecting area. The last photo is of a small, but nice section of crinoid stem which just needs a scrub with a toothbrush in water. Sorry I cannot answer the first two questions however the others I can. 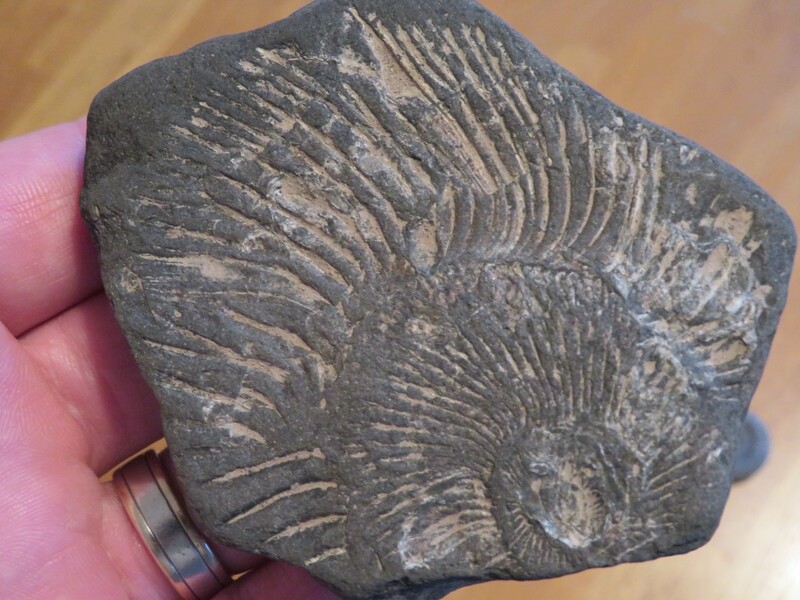 For your third question I am pretty sure it is just a impression os a large ammonite, not sure on species. 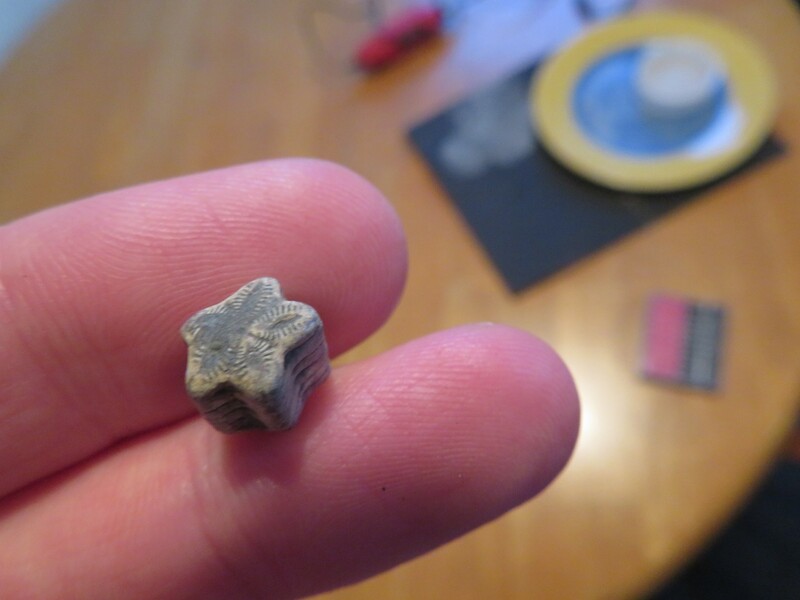 For the fourth question the star with the funny pattern on is actually a section of Crinoinoid stem. Thanks for your responses. do you think a metal rust remover or toilet bleach would work, then a coating of clear nail polish? traveling around and trying to think up things that are bit easier to buy. I wouldn't use nail polish - nail polish is not made to last, and over time it will yellow and crack. You could try ModPodge, but personally I would clean them up, wrap them well and coat them when you get home. Paraloid B72 is worth getting but not worth getting to chuck most of it as you can't take it home on a plane!